COMMENT | Pakatan Harapan leaders are keen on being seen as pragmatic and business friendly. While we are part of a globalised economy and that for the medium term, we have to survive in this milieu, we need to keep reminding ourselves that being too business friendly can, without our intending it to be so, further marginalise and impoverish the poorer strata in our society who are predominantly (around 75 percent) Bumiputera. And we must not forget that in GE14, only 15 to 25 percent of the Bumiputera voted Harapan. If Harapan wishes to avoid being a one-term government, it has to win over a larger portion of the Bumiputera voters before GE15. One way to do so is by paying attention to and resolving, at least partially, some of their economic problems. 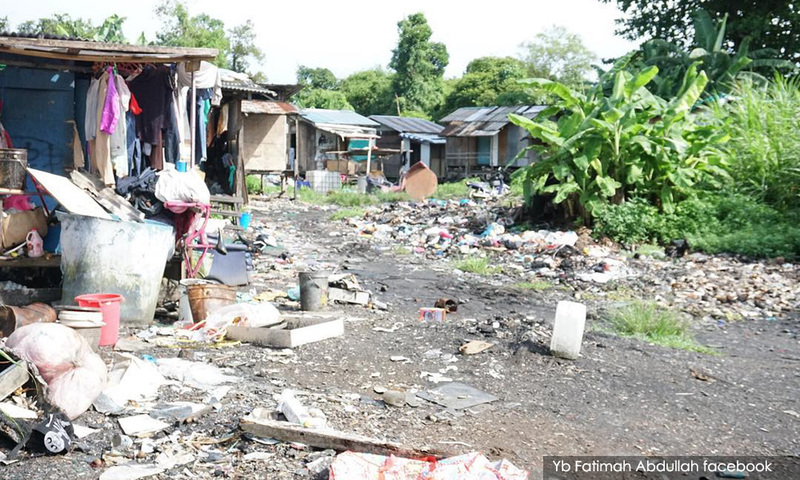 Here are some suggestions that the Harapan administration might want to adopt to address the problems of the bottom 20 percent of Malaysian society. There still exist villages in our towns where house owners do not possess the grants to the land upon which their houses were built. Generally, they are among the the poorest in our urban centres who live in run-down wooden houses and in an environment that is poorly maintained and prone to flooding. Urban development projects force these families to move into yet another squatter settlement because they are unable to afford a house with an official grant. Many of them cannot afford to buy a house even if it was priced at RM60,000. Give them the grant to the land they currently occupy. Then improve the surrounding infrastructure such as roads, drainage, rubbish collection, etc. Build rent-to-own PPR homes (with a monthly rental of RM120) for them (regardless of whether they are owners residing in these houses or tenants). A solution to their housing problem will help stabilise their financial standing and raise their capacity to better provide for the nutrition and education of their children. The conditions of many low-cost flats, where a significant number of our B20 live, have deteriorated into “high-rise slums”. The system in place that governs the maintenance of flats is the root cause for this problem. According to existing law, flat owners are required to set up a Management Corporation to handle maintenance issues. While families from the M40 households are able to afford a monthly fee of RM100 or RM200, enabling their Management Corporation to engage the services of a building manager, low-cost flat residents are unable to pay high monthly management fees. 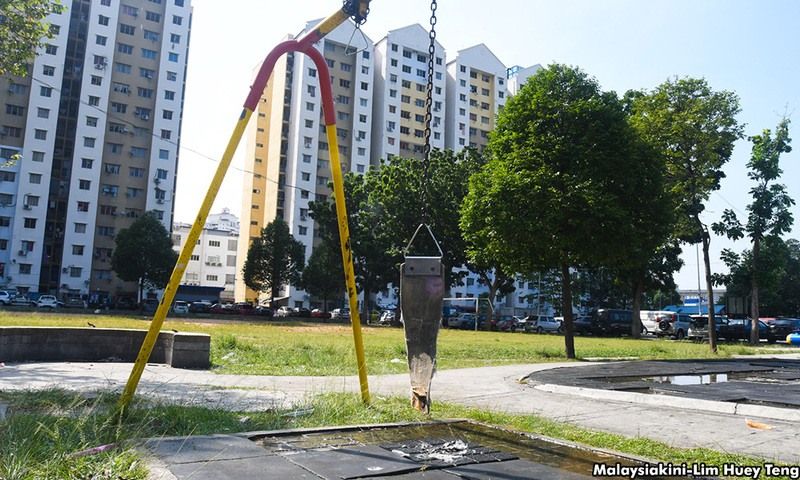 Even the low fees charged (RM30 to RM60) are difficult to collect as many residents don’t have the money to pay. Therefore the Management Corporation is not in a position to procure the services of a building manager, but have to manage on their own. Invariably, they fail as they have insufficient funds to maintain the premises and are often demotivated by the various conflicts that arise from their efforts. The way out is to make the local council take responsibility for the collection of management fees and maintenance of low-cost flats under their jurisdiction. The “township” system practised in Singapore has several features that can be adopted to run the maintenance of our flats. The existing law has created the position of “Controller of Buildings” within the local government. This person has sufficient authority to intervene in the management of any flats that are not being maintained satisfactorily and has the power to delegate the responsibility of maintenance of these flats to the respective municipal or city councils. The government should set up a fund to finance urgent repair works in these low-cost flats as well as to set up day care centres for children so mothers can go out to work and supplement the family income. Efforts could also be made to start tuition classes and activities for youth to create a more positive atmosphere for the young residents. The government must use the Land Acquisition Act to acquire 20 acres of land in every large estate to establish PPR housing scheme (rent-to-buy) for estate workers whose families have laboured in the plantation sector industry for more than 20 years. Former workers who have moved out of the estate upon retirement but do not yet own a home can also be offered an opportunity in these PPR schemes. Such schemes must be located as close as possible to main roads and the towns. PSM applies this term to mothers who head a family with at least one child under the age of 18. Women whose husbands who are severely ill and unable to earn a living can also be included in this group. According to government statistics, there are 250,000 single mothers in our country and 60 percent of them have a monthly household income of less than RM2,000. 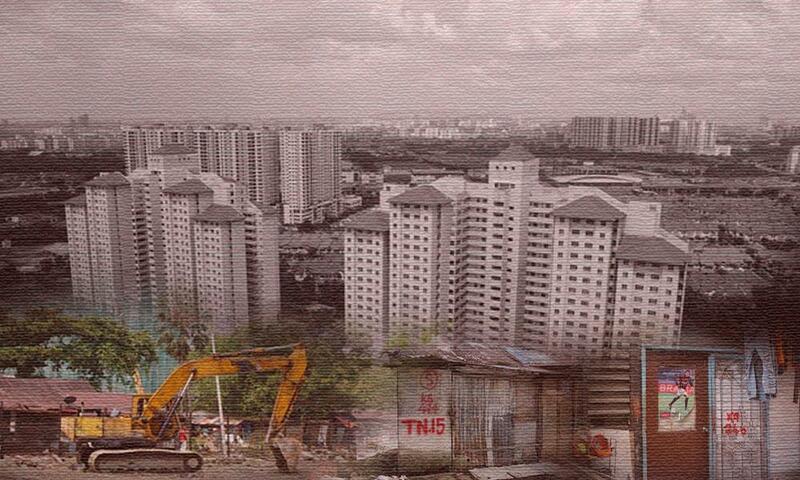 A few houses in every PPR scheme must be set aside to be rented out to low-income single mothers. When several families headed by single mothers are placed in the same housing scheme, aid such as childcare centrrs and support groups for the mothers can be implemented. Under-employment is a big problem in rural areas. Many people here work part time only – a rubber tapper only needs to tap every other day, and those doing odd jobs work only two or three days in a week. First, the presence of millions of undocumented foreign workers in this country who are willing to work for extremely low wages. There are about three million undocumented foreign workers at this point. This is a huge number considering that thre are only 6.5 million active EPF members. Contract work in smallholder farms, poultry farms, fish farms, etc, are swept up by these undocumented workers, who are forced to accept terms set by their employers. The second reason is the tendency of employers running factories and large companies to legally employ foreign workers rather than locals. This is as foreigners are willing to work 12-hour shifts and tend to not apply for marriage or compassionate leave. They are also cheaper to employ as the employers are not subject to the 13 percent EPF contribution. Foreigners are also easier to control - employers only need to identify a 'leader' among them and threaten to cancel their work permits and send them back to their countries should problems arise. The rest will be intimidated by silence. The recruitment of foreign workers must be implemented through a G-to-G mechanism (government to government) without the intervention of commercial interests. At the moment, the labour recruitment agency earns RM10,000 to RM14,000 for every foreign worker brought into the country. The right to redress for work place issues must be reinforced. If a worker has issues with the employer and is subsequently terminated because of this, he should be given a work permit to seek employment in another company, if he/she has filed a case against the previous employer. 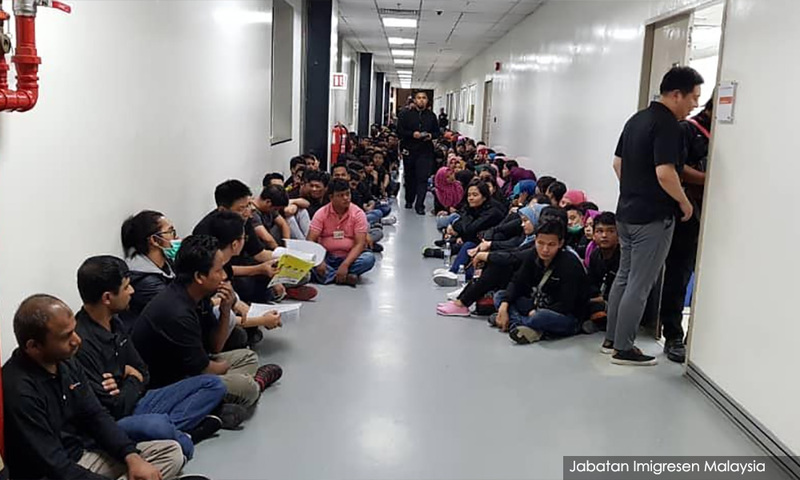 The Yayasan Bantuan Guaman (legal aid foundation) should be mandated (with payments from the government – using the levy collected from foreign workers) to represent these workers in labour courts. Those who employ undocumented foreign workers should be liable to imprisonment. This law does exist now but is rarely applied on employers. An Amnesty programme for the “illegal” foreign workers should be implemented. However this programme must be implemented by the government and not outsourced to a company because there are many irregularities when this responsibility is delegated to a companies looking to profit; must be realistic - just register the foreign workers to their current employers without restrictions based on economic sectors; and must not impose fines or levy payments that are too high. The Labour Office should take a proactive role in registering villagers who are interested in working in factories. A mobile registration unit should visit the pasar malam (night markets) to register villagers. The said factory must inform the nearest Labour Office of its recruitment drive to allow the Labour Office to disseminate information of the job vacancies to locals looking for factory related employment. The labour office should monitor if locals apply for the jobs and the response from the factories. Confirmation from the Labour Office that the vacancies advertised did not receive local response, should be made compulsory requirement for any factory applying to the Immigration Department for permission to import new foreign labour. Public transportation connecting village settlements to factories should be made available to enable villagers to travel to work with ease and the authorities must put an end to forced overtime work. Supply exceeding demand. Hundreds of thousands of smallholder farmers in Asia, Africa and Latin America struggle to produce agricultural commodity because they are poor and need bigger revenues. The oligopoly in the agriculture industry makes it possible for extremely wealthy buyers to control the value of commodity stocks and suppress it to a very low level. 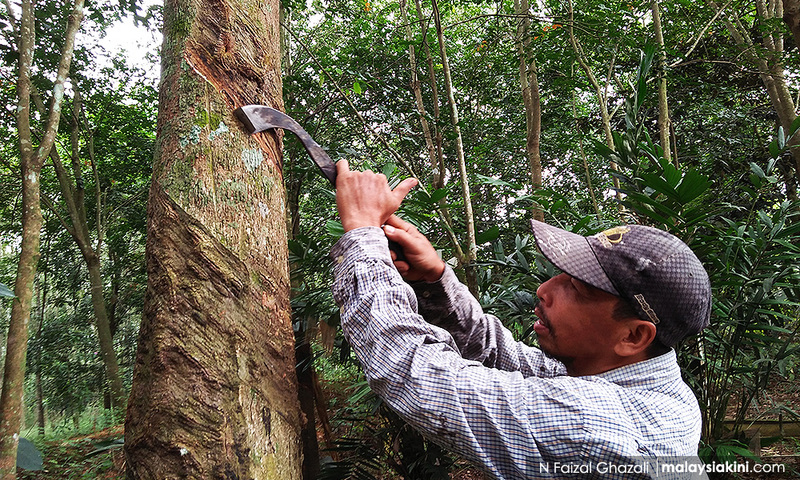 These two factors arise from an international economic structure which makes it hard for a country like Malaysia to campaign for better pricing for rubber and palm oil in the international market. Paddy / rubber / oil palm production incentives should be continued to augment the income of smallholder farmers. The incentives for paddy should be maintained over a long period as rice is crucial to the national food security. We need to try and improve our level of self sufficiency in rice production from our current 70 to 100 percent. 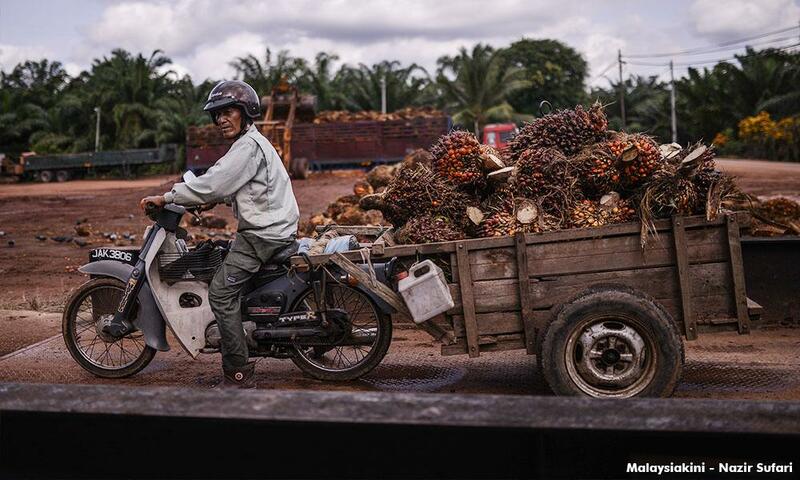 However, we need to try and diversify away from rubber and oil palm cultivation. Currently, Malaysia’s self sufficiency in the following food items are more or less beef (20 percent), mutton (15 percent), dairy (15 percent) and vegetables 70 (percent). We also need more freshwater fish and livestock feed. The agriculture ministry has to find a way to improve our farmers’ capacity to produce food which our people need. - Federal Agricultural Marketing Authority (Fama) has to formulate ways to can local fruits, dry them, juice them, freeze them etc. so they can be kept for off-season sale or even for export purposes. Children whose mothers are not Malaysian citizens and who, at the time of the birth of the child, had not yet registered their marriage to the child’s father. Children born to Malaysian-born mothers whose citizenship status is uncertain. Abandoned children who are abandoned and then raised in orphanages. The orphanage usually registers the child at the National Registration Department (NRD) and a birth certificate is issued. But because the name of the mother and her citizenship is unknown, the child’s status will be recorded as “non-citizen”. Children from the three categories above are from the poorest strata of our society. Failure to get citizenship further marginalises them because they will find it difficult to enroll in a school or qualify for free medical treatments. They will later find it difficult to gain employment because without an identity card, they cannot be registered with EPF or Socso. As such, they can only be hired as informal workers who are usually hired on contract basis with very low pay. They will not be able to open a bank account or obtain a driver’s license. When they get married, they will not be able to register their marriage because the NRD will require an identity card or a passport to do so. As such, their children will be also recorded as being born out of wedlock. (And if it is the mother who is stateless, the children will also be stateless.) The transmission of poverty from generation to generation thus continues. “Every person born within the Federation after Malaysia Day is a citizen by operation of law if one of his/her parents was, at the time of his/her birth, a citizen of Malaysia"
So, even if the father’s name appears on the birth certificate and both parents confirm to be parents to the child, the child is considered “illegitimate” and thus the child’s citizenship status is only based on his/her mother’s citizenship status. This gives sufficient authority to the Home Minister to solve the citizenship issue faced by children described in the 3 categories above. Clause 15 (A) can be used to draft a new standard operating procedure (SOP) to enable the approval of citizenship of those born in Malaysia whose father is Malaysian, if their father can be identified in the birth certificate record or through a DNA test. Such applications need to be approved at the NRD level without needing the special decision of the Home Minister because that only delays the process. NRD also needs a new SOP to approve citizenship applications of all orphans raised in orphanages, even though their parents cannot be identified. The cabinet can utilize the powers confered under Clause 15 (A) or Clause 19(2) of the Federal Constitution to draft such as SOP for the NRD. Again the authority to do so should be devolved to the NRD level such that it becomes an administrative decision. We can assume that the T20 tier will have saved sufficient funds to care for themselves till the end of their lives. We also know that close to 15 percent of families in Malaysia are secure with government pensions or benefits from Soco. 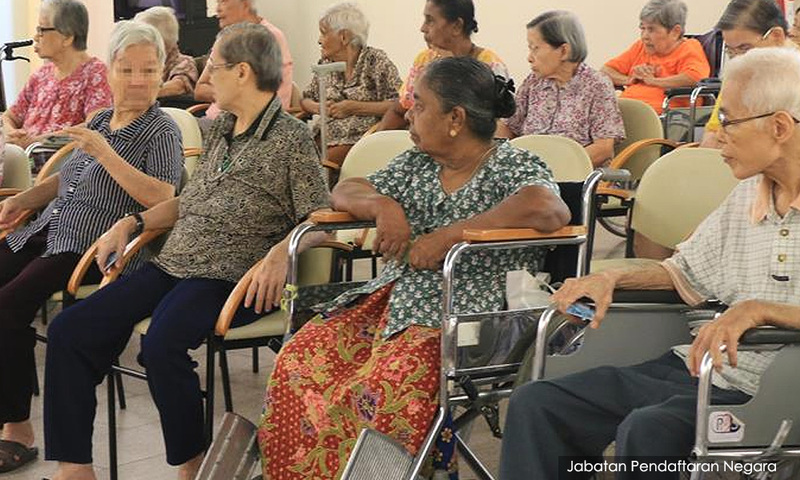 This means 65 percent of Malaysians aged 70 and above do not have savings to help them through their old age. The situation is worse for those who fall under the B40 tier because their children too face financial constraints and live in compact terrace houses or flats, making it difficult for them to care for their elderly parents. Our recommendations – implement pensions for all senior citizens aged 70 and above if they are not recipients of any other pensions. If each person in this category are paid a monthly pension of RM300, it will cost the government: one million people x RM300 x 12 months = RM3.6 billion per year. It will not be enough for that person to live independently, but it will be a great help to them. These recommendations are some of the ways we can immediately start addressing the economic plight of the B20 in our midst. And we should! A new and more harmonious Malaysia cannot be built if economic deprivation makes people in the lowest rungs of society apprehensive and thus more susceptible to racial politicking and scare-mongering that some parties are very good at. 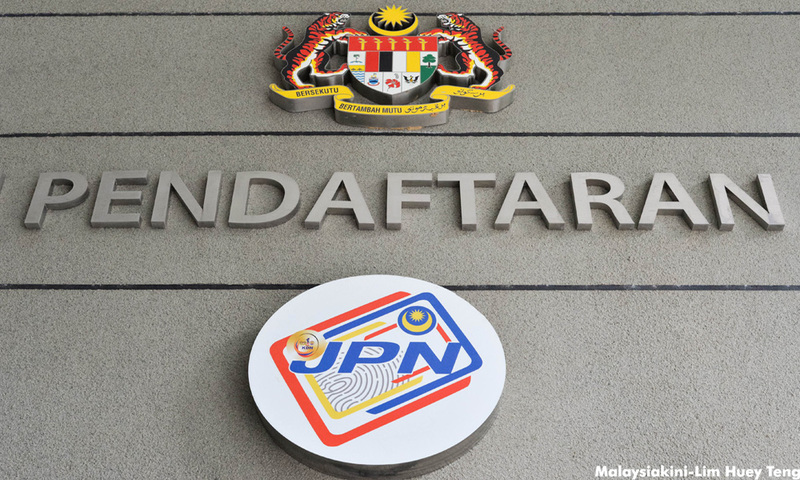 The very survival of the Harapan government and the reform process that it is trying to implement beyond GE15 will hinge on how successfully economic anxieties of the B40 is allayed over the next four years. Everyone who wants to see a better Malaysia should keep reminding Harapan leaders of this reality. JEYAKUMAR DEVARAJ is a member of PSM's Policy Research Unit.